You may have seen some news reporting a "crisis in bitcoin", but that is very far from the truth. At its lowest point, bitcoin was worth $430 (02/24/2014 @ 11:30 PM PST). One dollar was worth 1/430th of a bitcoin (.00232557 BTC). At the time of writing this post, 12:25 AM PST 02/26/2014, the dollar had fallen to 1/592nd of a bitcoin (.001689189 BTC). Bitcoin gained $162 or 37.7 percent. Why Did The Price of Bitcoin Fall? The price of bitcoin was driven down due to problems at one of many exchanges. Exchanges are like stock markets where you can exchange bitcoins for other coins or fiat money like dollars. ObamaCare consultants might have been used on this Japanese based exchange called GOX (Magic the Gathering Online Exchange). The exchange either overpaid people due to bad programming, was bought off by a government entity or stole peoples bitcoins. Whatever the case, the people responsible are now in hiding. There is no "problem" with bitcoin as a technology or as a investment. Another exchange BTC-e released this statement in regard to the GOX problem. We confirm the Bitcoin system operation and its exciting prospects, and MtGox bankruptcy has not been caused by any underlying technical problems of Bitcoin. Bitcoin international peer-to-peer network and cryptocurrency are independent of actions of a single market participant. Bitcoin protocol continues to function exactly as it should. The cryptocurrency maintains its stability and the network will continue to develop and exist as long as required by its users. People who used the problem exchange were put at risk and sold their coins cheap to "get into a court recognized currency" in order to file suit. This strategy came out of nowhere and was promoted as "legal advice." For all I know, it was a scheme to incite panic selling. Bitcoin is obviously an asset and theft of valuables is not delineated specifically by various courts to my knowledge. Maybe you know better. How Did Bitcoin Recover So Quickly? During the panic sell, other investors, who were not at risk, purchased bitcoins ... and ... hopefully.... you acquired some at the discount. If you put $100 into bitcoin at that time, that investment would now be worth $137.67 minus about .2% in fees. Of course this does not represent a full return to value, but it a base of recovery. under 500, if it is at all possible, buy! Why Might Bitcoin Continue to Gain Value? Good question. There are many reasons people believe in bitcoin. The US government represents the world's reserve currency. Due to an agreement known as Bretton-Woods, this has been the case since 1944. At the time, the US dollar was tied to gold, so other currencies tied to the dollar via Bretton-Woods were also considered fractional reserve notes based on gold. In 1971, the United States untied from gold and became a fiat currency. It effectively dragged the worlds currencies with it. Since that time, the dollar's reserve currency status has been based on faith in the American government and people. Recent events have concentrated power in the US's executive branch of government, which essentially changes that system. The tea party, occupy wall street and other movements have arisen due to a lack of faith in America's new political system. Concentrated power increases the likelihood of bad decisions being made and carried out. For instance, ObamaCare was sold as if it would save American $1 trillion over 10 years, but recent CBO estimates reveal a cost of $2 trillion over that same period. Bad decisions, like ObamaCare will continue to be made because neither Congress nor the Supreme Court have the power to stop them. Concentrated power's effective replacement of Separation of Powers in the American government is a fundamental economic threat to the world economy. This is a fiscal and political policy crisis. 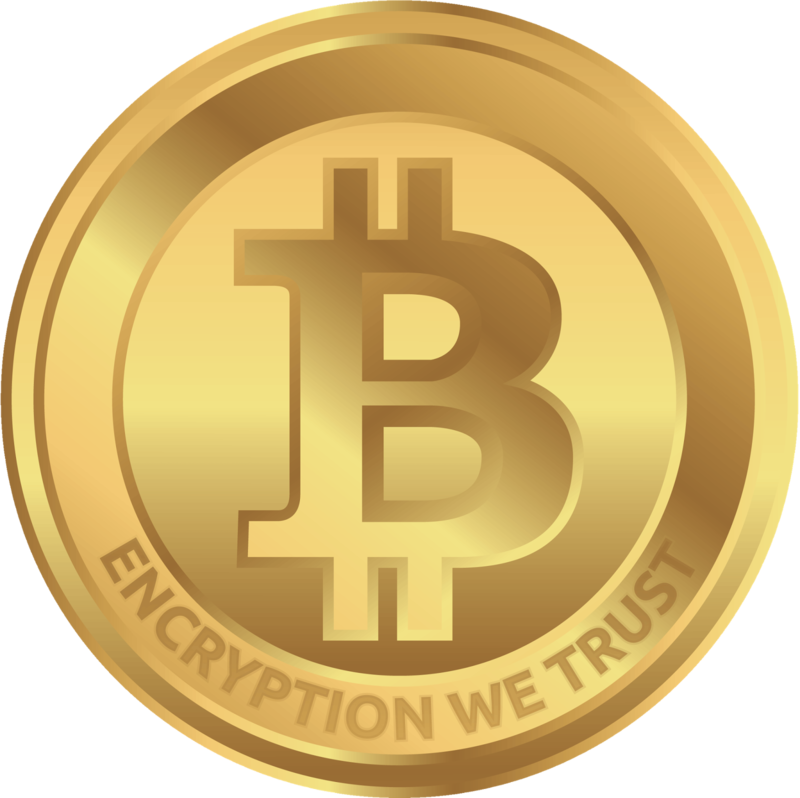 The alternatives are precious metals, which can be confiscated, and bitcoin which is easily transported and encrypted. Monetary policy has been a stalwart of America's economic stability. Recently the Fed as reduced interest rates to zero in an attempt to spur the economy. Specifically, they hope a "wealth effect" will spur people into feeling "richer" because stock and home prices are artificially inflated through the massive printing of money known as Quantitative Easing (QE). The Fed is printing around $75 billion per month. The problem with this approach is that there is no known exit strategy. Every time the Fed moves to increase interest rates, the stock market collapses and home sales plummet. Confidence in this system is extremely low. Step back and look at the combined monetary policy crisis, the fiscal policy crisis and the political crisis in America. Europe, China, Russia and South America are conceptual alternatives, but they do not inspire the confidence of the U.S. when it is governed faithfully according to the U.S. Constitution. Bitcoin is technically better. It is fundamentally more secure. It incorporates the Blockchain, which is like an accounting system. There is no credit card account information to be stolen when bitcoin is used. It is expandable and can be updated. It is easy and inexpensive to buy good and services across national boundaries without converting currencies... (no currency risk). The "wire transfer" fees or transaction fees are extremely small or free. Bitcoin transfers in minutes instead of days like bank money transfers. There are simply too many advantages to list. It is the next evolution of money. Consider Major retailers. Walmart would save billions in currency exchange fees, wire transfer fees, accounting costs and possible fraud loss by switching to bitcoin. Target would not have been liable for all the stolen credit card information in 2013. Many of us believe money is too important to be left in the hands of government. Government is generally incompetent due to competing goals. Trusting in government seldom proves to be wise and for the first time we have an real alternative. The US Dollar, and fiat currency generally, is backed by military and police power. Bitcoin is backed by math, computer geeks and some very bad men (like Chuck Norris). America's military is strong, but math is stronger. Recent events surrounding GOX might be an opportunity to judge which justice is more effective. Everyone has their own ultimate reason to move to a secure, internet-compatible currency. This is a little like listing why people use email instead of snail mail.. Instead of trying to list everything, lets leave this area open and add to it based on comments. Let us know your reason below. The big question is whether bitcoin is the ultimate winner in the arena of crypto currencies. LiteCoin, DogeCoin, UltraCoin, Vertcoin, NameCoin, or another may someday prove to be even better than bitcoin. These coins can be quickly converted between bitcoin. So, this may lead to a situation like the precious metals market. Bitcoin may be a store of wealth, while another coin might be the day-to-day alternative. They will coexist just as they do currently on multiple exchanges. Lets keep this short. Here are the Ten Commandments to make money trading in Bitcoin. Detailed explanations follow where needed. Never let a Whale (big trader) buy cheaper than you, stack up on their position if necessary. A trollbox is a little chat window commonly implemented by Bitcoin exchanges. It is full of people trying to manipulate new users into bad trades. Some people use it to discuss actual issues about the market, but you should never blindly follow advice given in the trollbox, and never click a short url link. Instead, take the time to read the news or google the trollbox information that catches your eye. There is no difference between buying low then selling high and selling high and then buying back low. You should do what puts you in a position for a follow up trade. For example, you can BL-SH and consider that the beginning of a SH-BL. Also, consider that some big traders get "VIP" transaction fees, normally about .15% or .05% lower than everyone else. this translates to more than .1% lower selling prices on each trade. This is a tough one. If you allow a whale to buy 1,000,000 coins at .00001 less than your trade they will be able to sell at a profit lower than you. This might lock you out of completing your trade and leave you at a loss or completely out of the market. Big players will sometimes place huge buy and sell orders simultaneously with less than .2% price difference. Small traders that place orders in between become trapped after one leg of their trade. You are forced to buy or sell from the whale or simply wait indefinitely to complete trades. The counter tactic is to place a buy order on top of the whale. If 1000 coins are traded at a price, the goal is to reduce the amount of coins purchased by the whale and stop the whale from making both legs of their trade. Wait until they pull the trap and then sell your coins. This is an important tactic because governments, banks and other players who are protecting establishment power use their massive resources to undermine crypto currencies. As a trader, you need to be prepared to fight these powers. You are the underdog, so be prepared to fight all who rob and plunder. It is very informative. You can learn what the big players are preparing to do in the market. This is one that is pretty hard to follow. It seems easier to buy and then set a reasonable sell price or vice versa. However, this is where big profit can be found if you are patient, precise, confident and follow the other commandments. Do not fall prey to the whims of the moment. Panic buying and panic selling are a traders worst enemies. Often, it is even harder to wait for the top or bottom of the market. It is better to wait longer, a lot longer than your emotions lead you, unless you have a specific reason. Some traders add that you should not trade during low volume because the market is easier to manipulate.Sometimes a small, well timed order can fool the automated trading programs (bots) into buying and selling at the wrong time. This is done by manipulating technical indicators across threshold values. Position yourself so that panic traders are selling to you cheap and buying from you at a premium. Compare other exchanges (BTC-E,Huobi, Bitstamp,BTC-e,Crypto-trade, etc), KDJ indicators (or other indicators) and multiple timeframes while developing trading strategy. Review this chart to understand what this stuff means. Use alternative coins during downturns as safe harbor and to trade for more Bitcoins. Many alternative coins lag, lead or are not very reliant on the price of Bitcoin. Learning these alternative markets turns crashes into buying opportunities. *update* expanded per comments request. Some of this is due to the fact that there are always new alt coins coming to market. Sentiment players try to jump on down turns in bitcoin to find people willing to trade bitcoin for the latest shiny coin. At other times, an alt coin may crash and money might rush into a safer alt coin or back into bitcoin. There are markets for many alt coins based purely upon Bitcoin and Litecoin. You may find a XYZ/BTC or XYZ/LTC on exchanges (where XYZ is a generic alt coin symbol). Another reason that trading to alt coins is preferable to trading to fiat is to avoid missing large market upswings. Alt coins may lag or have a different scope, but when prices jump up, you aren't left behind. This was written to give crypto traders a leg up on the big players and market sentiment players.